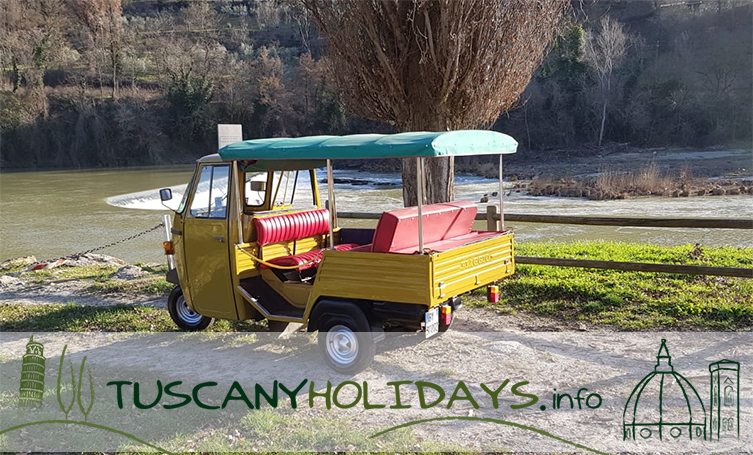 A Tuk-tuk hire with driver service offering original, picturesque and unique tours to discover the open air museum of historic centre of Florence, along with the artistic and natural beauty and relaxing harmony of the Tuscan countryside, with its vineyards, olive groves, ancient villages and stunning landscapes. Because of the high concentration of tourism in the city of Florence, it is not always easy to enjoy its rich and vast heritage and the magical beauty of its outskirts in a comfortable, pleasant way. 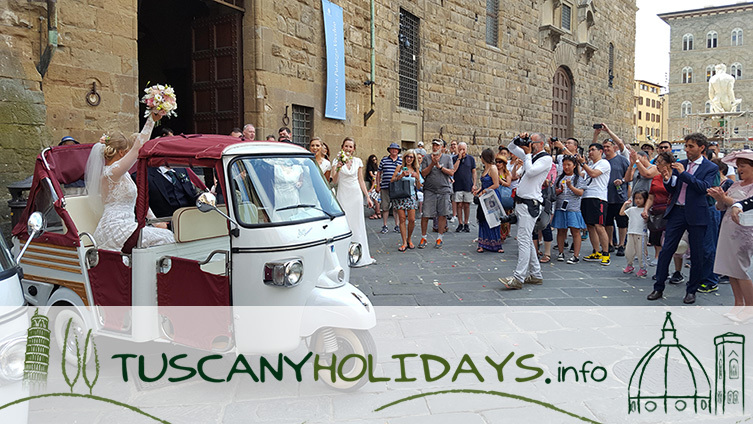 So take your camera, join one of our tours to capture and preserve unforgettable moments of your stay in Tuscany ! 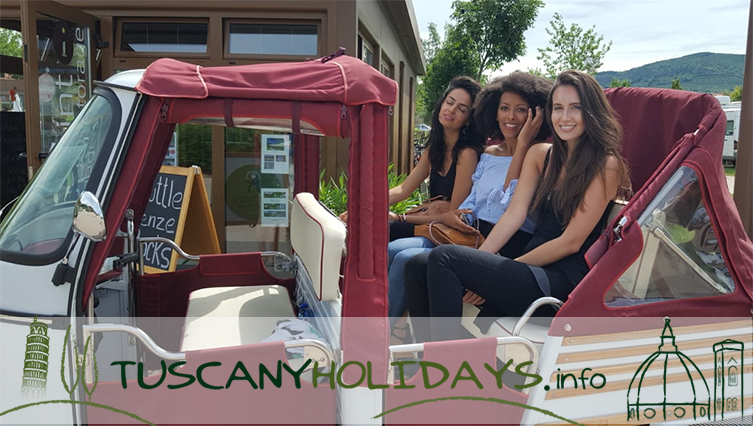 The vehicles used for our service are a good and extravagant compromise between the comfort of a taxi trip and the intimate, careful and close look of a walk, adding originality and fun to every experience. 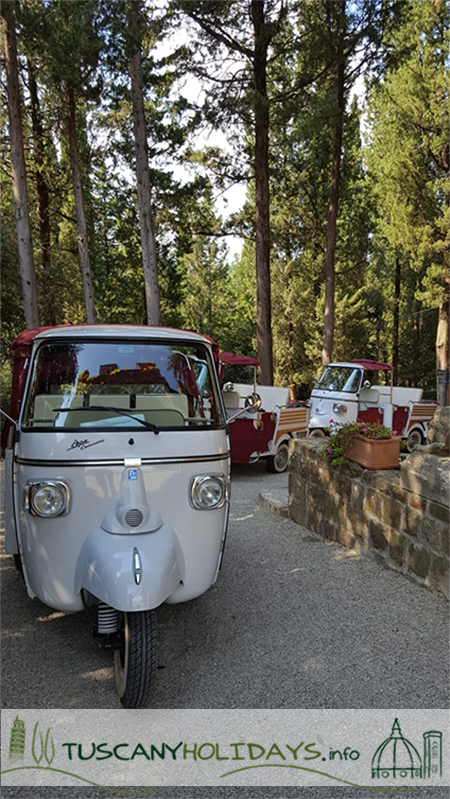 You will be able to visit the main sites of the historic centre of Florence on a fanciful three-seater or six-seater Tuk-tuk, with which it is also possible to go through longer, scenic routes in the countryside (up to 50 km away from the city centre). Choosing our tours means opting for a comfortable, touching and immersive trip in close contact with the nature and history of the different places. 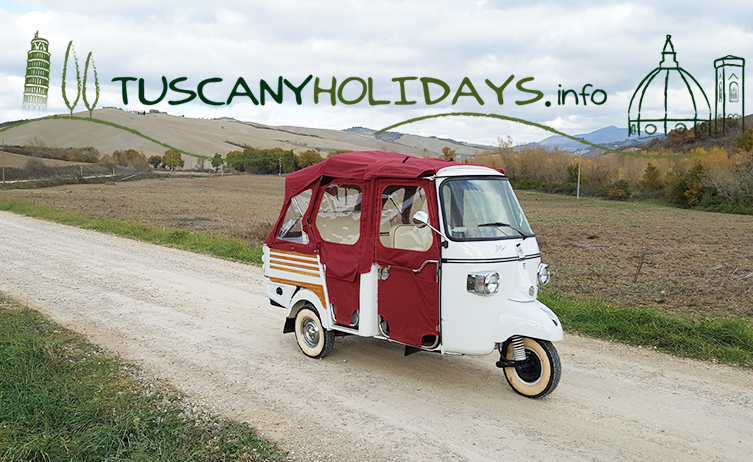 The driver will be glad to tell you stories and curiosities in Italian, English and Spanish. The service includes pick-up and drop-off in Florence. The route is flexible according to passenger’s preferences. A close exploration of the artistic beauties of the Renaissance city of Florence and its hidden corners, crossing the most important squares, bridges and characteristic streets. Piazza Santa Croce – Via Verdi – Arco di S. Piero – Mercato di San Lorenzo – Cappelle Medicee – Via de’ Pecori – P.zza del Duomo – Via Roma – P.zza della Repubblica – il Porcellino – P.zza della Signoria – Ponte Vecchio – Ponte S.Trinita – P.zza S.Spirito – P.zza Pitti – Lungarno Torrigiani – S.Niccolò – Piazzale Michelangelo. 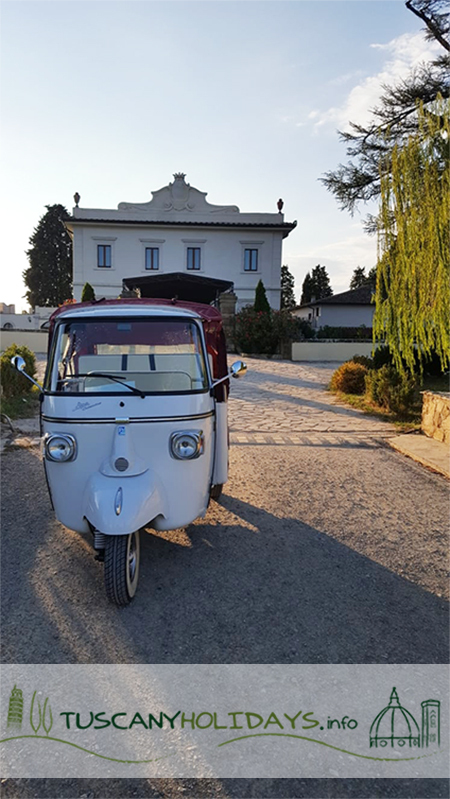 A discovery of the artistic, historical and environmental heritage of Florence’s outskirts, among villas, monuments and natural routes. You will visit the most famous sceneries, including Piazzale Michelangelo, and the mysterious city of Fiesole, full of Etruscan and Roman ruins. Piazza Santa Croce – Via Verdi – Arco di S. Piero – Mercato di San Lorenzo – Cappelle Medicee – Via de’ Pecori – P.zza del Duomo – Via Roma – P.zza della Repubblica – il Porcellino – P.zza della Signoria – Ponte Vecchio – Ponte S.Trinita – P.zza S.Spirito – P.zza Pitti – Lungarno Torrigiani. 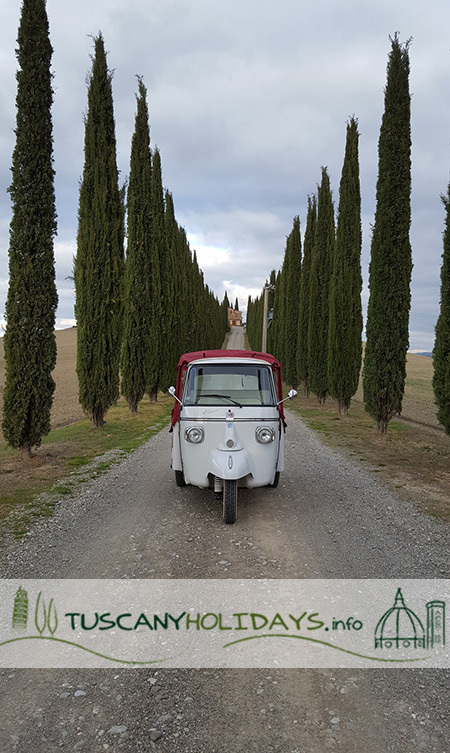 An immersion into the seducing atmosphere of the Tuscan countryside and its fields, vineyards, ancient churches and villages. You will have the chance to go through the fascinating landscapes of Chianti and to discover its fine wines and peculiar architecture. 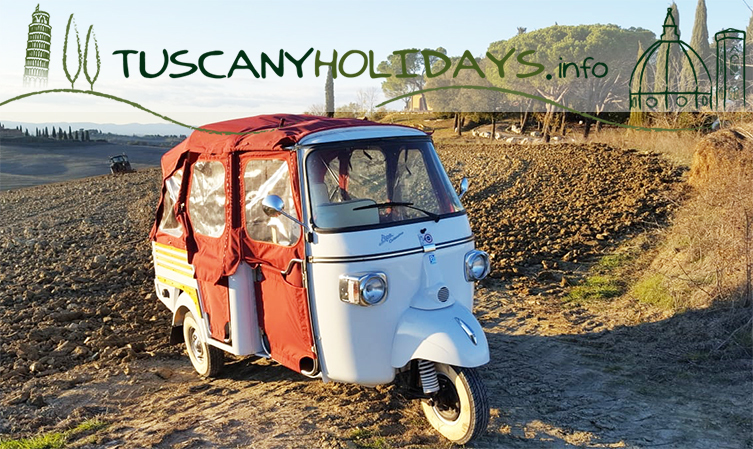 20 minutes driving towards Chianti magic landscapes (Ruffino) – Then on to la Consuma – Nipozzano – Stop for a Wine Tasting surrounded by vineyards (only on request) – Sieci – Molino del Piano – Trebbio – Madonna del Sasso – Olmo – Fiesole – A tour along the Etruscan Walls – Maiano – Salviatino – Lungarno Aldo Moro – P.zza Ferrucci – Piazzale Michelangelo. 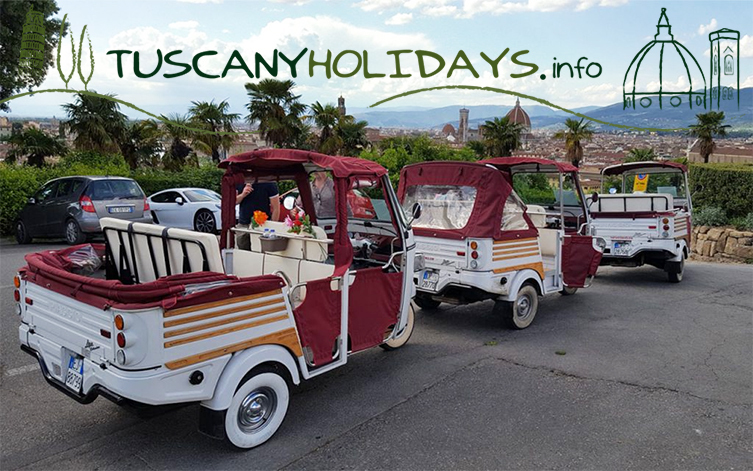 All the vehicles are authorized for Hire With Driver Service and they have the permission to enter the Traffic Limited Zone in the city centre of Florence. The driver is NOT a tourist guide, but he can tell stories about Florence and the routes in Italian, English and Spanish.